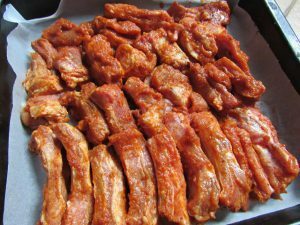 This site has a lot more great Korean recipes. 1. 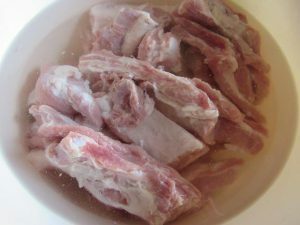 Wash the ribs, cut them into smaller parts and leave them for a while in cold water (about 15 minuts). 2. 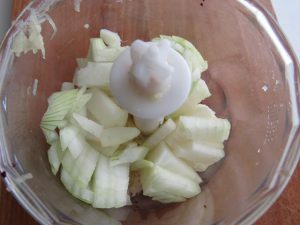 Grate onions, garlic and ginger. 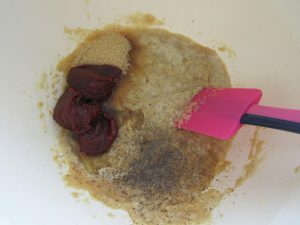 Make a paste. I put everything in the little blender. 3. 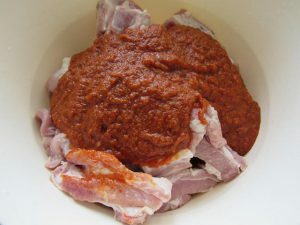 Add the rest of the ingredients to the paste and mix the marinade thoroughly. 4. 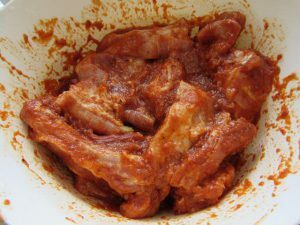 Drain the ribs, dry with a paper towel and mix with the marinade. Set aside for a few hours (around 3-5) and preferably overnight. 5. 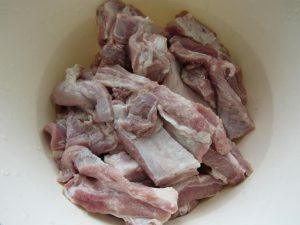 Place the ribs on a baking tray and bake at 180 C (350 F) for about 1 h 45 minutes, until the meat is very soft and will fall off the bone. 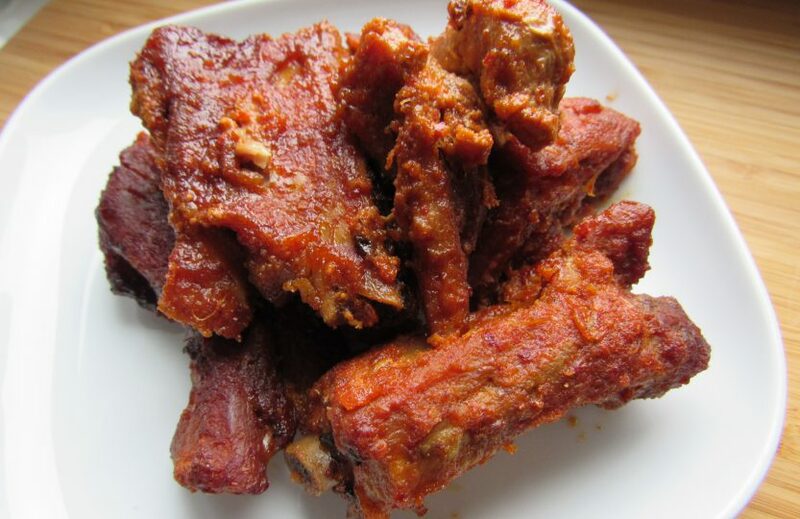 For the first 30 minutes, bake the ribs under the cover (aluminum foil or baking paper). 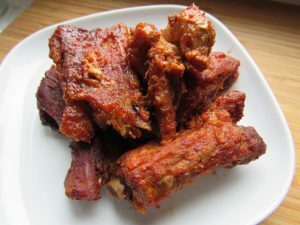 When baking, it is good to turn the ribs a few times to make them evenly baked. These looks delicious! I looove ribs and this looks easy enought! Thanks! these look absolutely divine! I am drooling all over my keyboard trying to stop salivating.